How can I get and maintain healthy, radiant skin? Do I have to get a facial every month? Of course we would recommend monthly facials by a professional esthetician as the best and most effective course for caring for your skin. However, there are a variety of options for those that can’t commit to monthly facials, for whatever reason. This kind of facial regime is great when you notice any external environmental changes in the weather affecting your skin. (In Colorado that would be quarterly as we experience all four seasons). This typically would include new product recommendations for addressing any changes your esthetician may notice. This is effective because you are getting a professional facial to address seasonal issues during these times of change and you are sure that you have the right home care routine for long term preventative maintenance. It takes the guesswork out of DIY facials and your daily home regimine. Whether you are getting a quarterly facial or a monthly one; be sure to always check out the seasonal specialty services on Elixir’s menu, such as the organic pumpkin peel enhancements offered in the autumn. 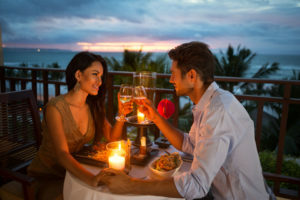 They are likely to address common concerns we see our guests experiences during these seasonal changes. Additionally, there are also seasonal product specials at Elixir for the ARCONA skin care line to make trying something new fun, timely and beneficial. (Just not the day before or the day of)! A facial is relaxing, calming and can really help to boost your confidence. Looking your best and feeling like your skin is healthy and glowing (this includes your chest and back not just your face) allows you to focus on the fun! We recommend getting a facial three days to a week prior to a special event. This is because the products estheticians use are more active than what you would use at home, which is why you want a professional to apply them properly. Active skincare ingredients are those that have a more pronounced effect on your skin; for example peels, masks, antioxidants, exfoliants or skin lightening agents. At Elixir we use ARCONA natural skincare products that are less invasive and reactive than say a chemical peel; however, they are an active and effective skincare. Not everyone will leave after a facial glowing immediately. Some people, especially those with more sensitive skin, may experience some redness or peeling. This is entirely normal and will subside very shortly (usually within a day or two) and their soft and glowing skin will reveal itself just a bit later. Active ingredients mean you also need to stay out of the sun or tanning bed for at least a few days, you shouldn’t use any active products at home for 3 to 4 days, don’t participate in any high intensity workouts and no hot tubs or saunas for a few days either; as all can irritate your more sensitive, newly polished skin. Did you just move to an arid climate from a more humid one? (Welcome to Colorado new neighbors)! Are you experiencing more stress than usual? Are you starting to notice sun damage like dark spots or wrinkles? Are you experiencing significant hormonal changes due to adolescence, pregnancy or menopause? People that have just moved to Denver from the humid midwest or south often have no idea how to keep their dry skin hydrated in this new arid climate. Stress and lack of sleep causes a chemical response in your body that makes skin more sensitive and reactive, manifesting in less than attractive breakouts, eye bags, and possibly flare ups of rosacea or other skin conditions. People (men especially) are noticing the effects of sun damage from years without wearing adequate sunscreen and aren’t liking what they see. Adolescence, pregnancy and menopause can all make our hormones go a little haywire, taking our skin along for the ride. Meet your skin where it’s at – not where it used to be. Take time to evaluate what you currently do at home, notice what seems to still work well for you and what doesn’t so you can share it with your esthetician. Then get a really good professional facial with a skin consultation. For best results get a series of facials that address these new issues and purchase the right products for your skin type that will help improve the condition of your skin now. We can be creatures of habit, choosing the same cleanser, mask or moisturizer that we’ve been using for years. However; skin isn’t stagnant and you may notice that what you once loved using because it worked for you, is just not doing your skin justice anymore. Does your skin seem duller or are you experiencing more breakouts than usual? Have you noticed darker spots appearing or do fine lines and pores seem more noticeable? Sounds like it’s time for a re-evaluation of your skin and the ingredients you look for in products may need to change. Maybe you just need a facial that includes a good deep cleanse with a hydrating mask to plump skin and expert exfoliation to get that glow back. It’s also likely that it’s time to change up a few products and look for different active ingredients. Perhaps you just need to tweak your home maintenance regime, adding a mask a week, trying a different toner or a gentler peel. Get a professional’s advice when your regular routine just isn’t cutting it anymore. Elixir offers basic skin analysis and product recommendations with every facial performed by an Elixir esthetician. 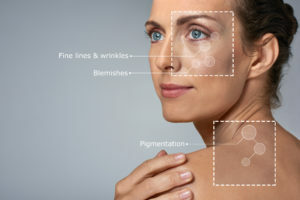 For a more in-depth consult we recommend you book any Elixir facial along with an additional 15 minute skincare assessment and consultation where an Elixir esthetician will go over your written personal assessment, answer your questions and give you customized professional advice on products, facials and a home regimen that would work well for your skin. To make regular facials more affordable: become an Elixir Wellness Member and receive special pricing on all facials and massages or buy a series of facials. Is it time for your next facial? Call Elixir at 303-571-4455 or request an appointment online.